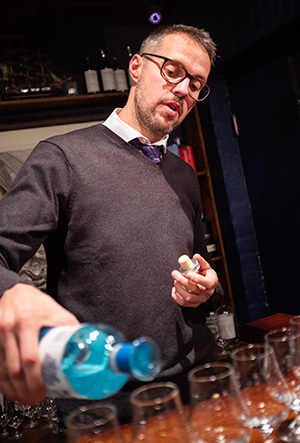 Manly Spirits’ head distiller, Tim Stones, will be familiar to many readers as the former global ambassador for Beefeater Gin. Stones began his distillery training under the watchful eye of Beefeater’s master distiller Desmond Payne, one of the most knowledgeable and experienced distillers on the planet, and Tim clearly learned a thing or two from Mr Payne, because the Manly range tastes excellent. Located in the Northern Beaches region of Sydney, Manly Spirits have taken much of their inspiration from the ocean. Many of their botanicals are foraged in or around the surf line, and while their Australian Dry Gin is of traditional London Dry character, the other spirits in their range carry marine or earthy flavour notes that come from botanicals selected to represent the distillery’s local environment. The Australian Dry was served in remarkably tasty G&T’s during the launch event, and having briefly tasted the rest of the range, the Marine Botanical Vodka stood out as something we would like to experiment with. It has a subtly salty / sea weed-y note that would lend itself very well to Gibsons, Mary’s, or any recipe that calls for a bit of umami. The Zesty Limoncello was also delicious, to the extent that our group let out a synchronised ‘mmm’ as they tasted it. Manly Spirits also have a whisky maturing, which is slated for release towards the end of this year. Relationships with local beer and whisky producers have allowed for some barrel swapping experiments, so it is likely that various cask-finish variants will appear from time to time. 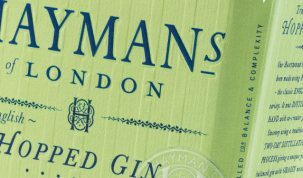 The impressive and interesting Manly Spirits range will shortly be available in the UK via Boutique Bar Brands. Visit the Manly Spirits website for more information on brand’s location and production methods.